1. 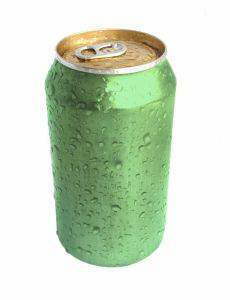 Coca-Cola was originally distributed in green bottles. 2. The most common name in the world is "Mohammed". 5. There are two credit cards for every person in the United States..
6. TYPEWRITER is the longest word that can be typed using the letters only on one row of the keyboard. 8. You can't kill yourself by holding your breath. 10. People say "Bless you" when you sneeze because when you sneeze, your heart stops for a millisecond. 12. The "sixth sick sheik's sixth sheep's sick" is said to be the toughest tongue twister in the English language. 13. If you sneeze too hard, you can fracture a rib. If you try to suppress a sneeze; you can rupture a blood vessel in your head or neck and die. 14. Each king in a deck of playing cards represents great king from History. "Spades" King David; "Clubs" Alexander the Great; " Hearts" Charlemagne; "Diamonds" Julius Caesar. 16. If a statue of a warrior on a horse has both front legs in the air, the person died in battle. If the horse has one front leg in the air, the person died as a result of wounds received in battle. If the horse has a all four legs on the ground, the person died of natural causes. 17. What do bullet proof vests, fire escapes, windshield wipers and laser printers all have in common? Answer: All invented by women. 18. Honey is the only food that doesn't spoil. 21.All polar bears are left-handed. 22.American Airlines saved $40,000 in 1987 by eliminating one olive from each salad served in first-class. 23.Butterflies taste with their feet. 24.Elephants are the only animals that can't jump. 25.In the last 4000 years, no new animals have been domesticated. 26.On average, people fear spiders more than they do death. 27.Shakespeare invented the word 'assassination' and 'bump'. 28.Stewardesses is the longest word typed with only the left-hand. 29.The ant always falls over on its right side when intoxicated. 30.The electric chair was invented by a dentist. 31.The human heart creates enough pressure when it pumps out to the body to squirt blood 30 feet. 32.Rats multiply so quickly that in 18 months, two rats could have over million descendants. 33.Wearing headphones for just an hour will increase the bacteria in your ear by 700 times. 34.The cigarette lighter was invented before the match. 35.Most lipstick contains fish scales. 35. It is impossible to lick your elbow. 37.And finally over 90% of people who read this will try to lick their elbow.